Best Brunch DC: Brunch is what has replaced the regular meal in recent times. More so when the week is over and you are looking to opt for the weekend extravaganza. 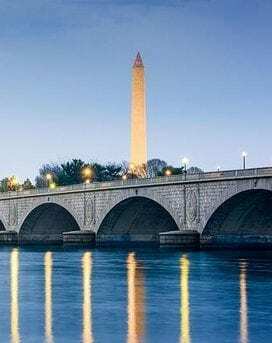 The concept of brunch assumes even more importance for a city like Washington DC which is known to be a Go-Go city in all aspects. So, which Brunch spots would we suggest you? There are several brunch spots around Washington DC and not all of them are worth the attention you are looking for. From that perspective, let us dwell upon a few great brunch spots in DC that you can feast upon over the weekend. The weekend brings the festive mood, and a little day drinking with it! After those gruelling weekdays, it would indeed be a great option to start unwinding for the weekend. Brunch is one of the best activities that you can indulge in joyous feasting- whether it is with pancakes, mimosas and sandwiches or the booze. We present you the best brunch spots that you can go with while in Washington DC. Jumpstart your weekend with the right mix and the right kind of the brunch. Are you fond of a French American food delight? The Mintwood Place is the right place you would love to go with. The farmhouse style of ambience is what you would indeed fall in love with. It has a menu that will appeal to all kinds of categories. Right from your parents to the self-conscious girls to the vegetarian options – you have everything for every need. You can order anything right from pear-buttered toast, pork hash, and smoked salmon eggs Benedict toast-iron skillet of pork hash in tomato sauce. Had the salmon flammekeuche for $18 (which I had no idea what it was but when with parents, mentally sort price high-low and consider later). It tasted as if you put pizza in a toaster oven the day after you buy it– which is to say, DELICIOUS AND CRISPY!! Slabs of salmon rest heavy atop a surface of thin toasty bread, flecked generously with plump capers and chopped eggs and onions. A wonderful meal for brunch. The restaurant focusses on sourcing the ingredients from the farmers. That, however, does not mean that they do not source anything from the traditional means. What makes them the best option for brunch is the fact that the menu items are made to order. That will make you wait for a little, but the freshness of the food should be something you would definitely love. That is exactly why we would advise you to rush there fast. Reaching the spot beyond 9.00 am may not help you get the reservation. The Stuffed French Roast and Carrot Cake pancakes are a couple of items that have been high on demand. The restaurant has been able to get accreditation from Michelin Guide and that in itself should be a proof to the great food available at the location. The prices are affordable enough and the ambience is quite posh looking enough. The down to earth approach in a posh appearance should provide you with a contrasting experience in its own right. The spread includes the traditional items like omelette stuffed with mushrooms and cheddar, while if you are someone looking for the variety – you can go with the innovative options available. Pancakes are what would make it an exciting option in every right. You will definitely love the Asian accent with respect to the menu items. Looking for the best seafood options for your brunch session? Whaleys’ is your best option by any standard. The Navy Yard area swears by the name of Whaleys’ when it comes to the seafood options. Wanna have a look at the spread? The oysters, mussels, and scallops alongside pancakes and cocktails are what you would indeed love. 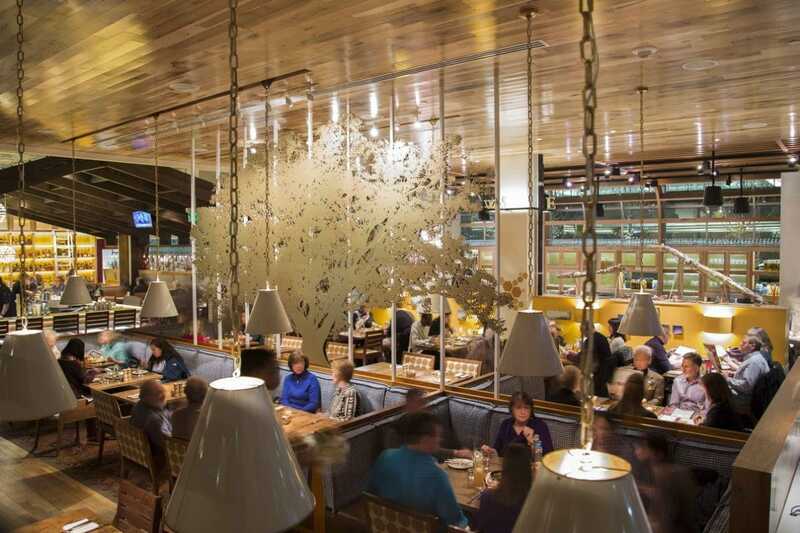 The ambience that resembles the riverboat stands proof to the seafood theme and in fact, it adds up to the experience. You will indeed love the seafood towers and the waterfront scenery in the backdrop. You can check out the used oyster shells and get them back into the water to help baby oysters shelter after the brunch session is over. Well, this is not an option if you are not ready for the hard work! It is just outside the metropolitan limits of Washington DC. You need to drive through the winding country roads to reach there. But, once you make up your mind, you are indeed in for a treat. You will indeed be pleased with the historic Inn like experience and ambience. The menu should be interesting enough with the lobster and grits, slow-cooked corn grits and beef tenderloin and eggs – to name just a few. Do not forget to check out the steak and eggs, served with truffle hollandaise eggs. And yes, this location may not be exactly what you will find in Washington and DC area. We thought of adding up in the list because it is just around 30 miles away from the hustle bustle of the metro and offers a unique experience. Looking for the genuine farm American concept for your Brunch session? Beuchert’s Saloon should be an ideal option by all counts. You will indeed like the old world appearance with the antiqued wood and marble. Enjoy the fresh and fluffy beignets and then top it up with a tangy grapefruit mimosa. Another great option you would not want to miss includes fried green tomato Benedict with pimento cheese mousse. The creativity that the Chefs put into the local products gives rise to a great experience of its own. The restaurants source its ingredients from the local farms. Isn’t that something that ensures freshness for your brunch? A retro themed brunch spot in Washington DC, the Bombay Club will indeed take you back in time. If you are fond of Indian dishes, this is the right thing for you to choose from. The DownTown restaurant offers you an all-inclusive brunch at $ 24. The menu is indeed unlimited. The menu can be right from the Indian home and includes the delicacies like spicy paneer jalfrezi with tender house-made cheese; a rich dal tadka; and a carrot and bean googath fired up with mustard seeds and curry leaves. Experience the finest cuisine from India – made from the best quality ingredients. The restaurant has been the winner among the top ten restaurants in the DC region and one of the seven best Indian restaurants around the world. If your taste buds are craving for the European delicacies, the best you can go with would be the Kafe Leopold & Konditorei. It would indeed be the best Georgetown shopping experience par excellence. Rich and frothy cafe melange and a honeyed waffle should be the best you can go with when you are at Kafe Leopold. You will definitely fall in love with the sunny appearance around and the beautiful fountains around. Go for the excellent coffee and crafted chocolate if you really want to get into something purely Austrian. If you are looking for the unlimited brunch in the real sense of the word, you should really try out Kapnos Taverna. The restaurant serves you both classic and coastal dishes in the Greek-inspired cuisine. Some of the mouth-watering delicacies include merguez gravy with the fried egg on a biscuit and shakshouka. You may also try the enchanting baklava French toast and spit-roasted chicken with waffles. In fact, the place offers you smaller versions of the dishes, so that you can sample them out before ordering full-sized options. 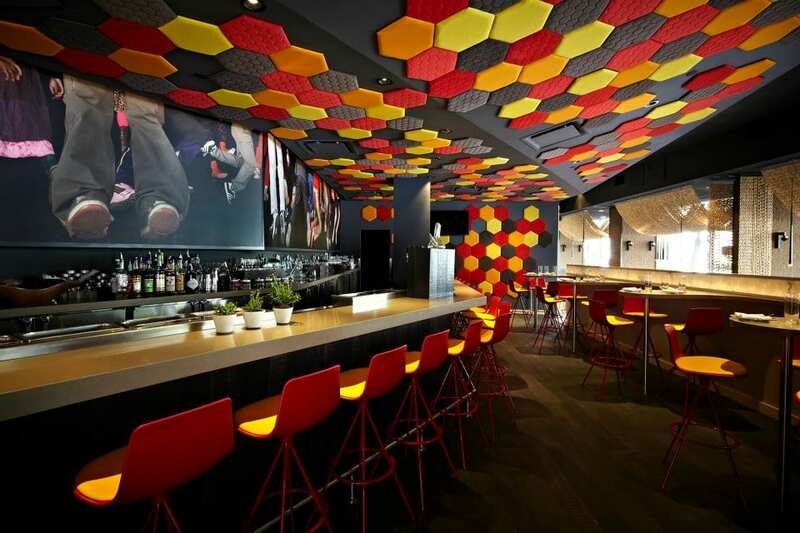 Best suited for the Hip category of brunch seekers, the Room 11 is adorned with a host of awards and recognition. That should go a long way in letting you know the excellent service that it is known for. The menu includes gourmet grilled cheeses, flaky quiche, sizzling jalapeño biscuits, and popular pork belly hash. In fact, the last item is indeed their most popular delicacy. If you are a booze fan, there is widest range of choices available for your needs, the prominent ones being bourbon and apple cider concoction, or the Half Smoke with vodka, ginger beer, grapefruit, and the indigenous chilli bitters. 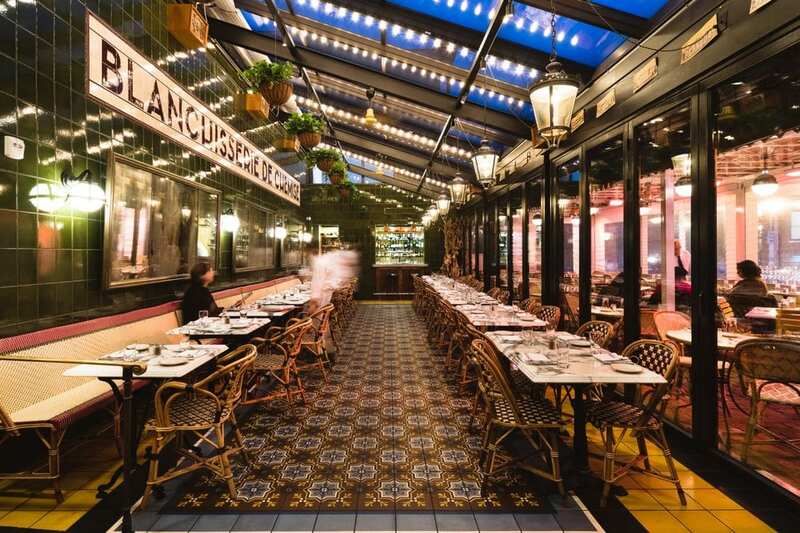 Yet another French Café in the DC, the Le Diplomate should be one of the ideal options for all your brunch related passion ahead. If you are a fan of French cuisine, you will be getting much more than that. The service is built into the historic structure. The ambience is completely French and possibly you will like it more than the food. The menu spread includes Gallic classics, including onion soup gratinée, steak frites and escargots. And yes, do not forget the bouillabaisse and cassoulet. The vanilla French toast is getting excellent reviews and stands proof to the popularity that the restaurant has been gaining in the region. A few other delicacies include crispy frites, croque madame, juicy duck sarladaise, and steak tartare. A simple, fresh and innovative – that is what the people visiting the Lavagna describe it. Just like a couple of the restaurants, we covered above, Lavagna too sources the ingredients from the local farmers. The restaurant largely focusses on the Italian delicacies. But yes, the chefs at Lavagna has been quite innovative with its cuisine and the ever-changing menu. The exciting pancakes and mimosas are exciting options. The great service quality of the joint would be one of the aspects that would make it an excellent brunch spot to opt for. Another delicacy that foodies swear by includes Risotto Bacon. What makes it one of the best options is everything you order is freshly made and quite delicious. A complete French Belgian restaurant can be one of the best options for Brunch if you are on a date. A perfect combination of French, Italian and Belgian cuisine is what would drive the foodies to this exotic brunch spot Washington DC. You can check out a wide variety of cuisine ranging from crepes and French fries to mussels and one-of-a-kind seasonal desserts. 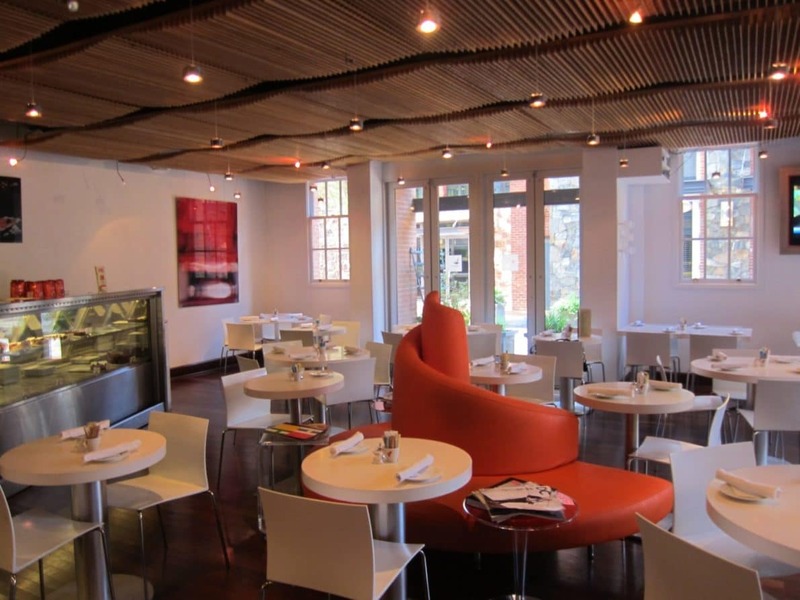 The restaurant has been ranked as the best options when it comes to the best options in Washington DC. The stuffed waffle chicken, off-menu stuffed waffle salmon, with soup like the French onion is a few other delicacies that you can opt for. For those with a sweet tooth, the options can be chocolate mousse or torched, fluffy meringue in custard cream. How about a location outside the hustle bustle of the commute around and something peaceful? Open City provides you with an excellent option for that kind of serenity. It is indeed the best place you can stay away from the stresses of your life. And yes, it can be your “full day brunch” option as it is open right from the morning till night and open all seven days of the week. In fact, if you are a vegan, it should be the best option you can go with. A few prominent menu items include crunchy hash browns, cheesy grits, or California omelette, and enjoy the tasty espresso drinks. It is indeed a place for everyone. The service offered by the Hollywood East Café live up to the hoopla around the name Hollywood. You would find a different menu for the weekends. Prime options among the menu items available include fried, chewy confection shaped to resemble a fat carrot, while you also have access to the options like pork buns, noodle crepes, shrimp dumplings. Make sure you are right on time to avoid waiting times. For the best dim sum experience, this is an excellent option you can go with Hollywood East Café. Are you considering moving on a brunch session with the family? The Brookland’s Finest Bar & Kitchen is the finest family-friendly restaurant you can find in your neighbourhood. An excellent option for true American cuisine with bistro options, the Brookland’s is the best for the finest quality seasonal menu. The cuisine focusses on local seasonal ingredients and that is exactly what will make your brunch experiences quite fresh and delicious. The eggs Benedict with roast beef is one of the most excellent options for your brunch. Yet another option you can go with includes Brussels sprouts chips. Located in the heart of the city, the Bar Pilar is one of the best options in the neighbourhood. Best known for the American and Spanish cuisine, it is the best option for the food and wines or a combination thereof. 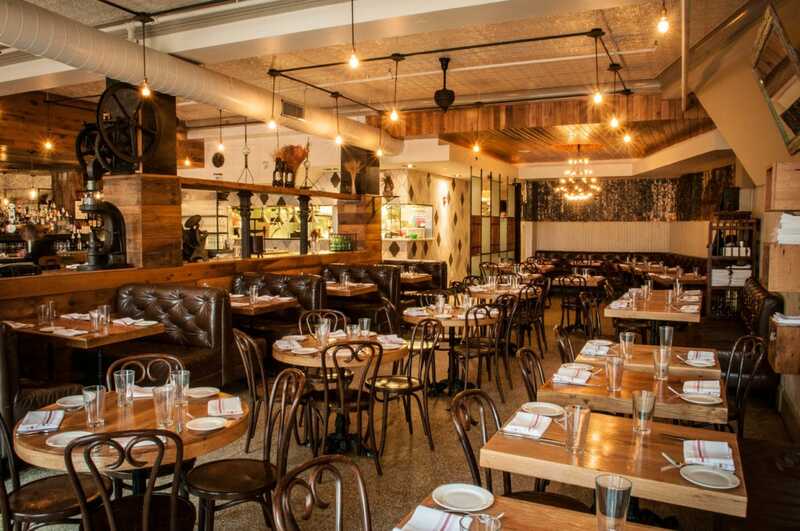 Like a host of restaurants we have listed in our best brunch spots in DC, you will find even Bar Pilar procuring its products from the local farmers. The wine selection comes with the European excellence. You can be assured of the wonderful food options right from dreamy pancake sandwiches to the buttery English muffins. For those who have had a hangover, there is a ‘Hangover Cure” section that would get back sober soon enough. 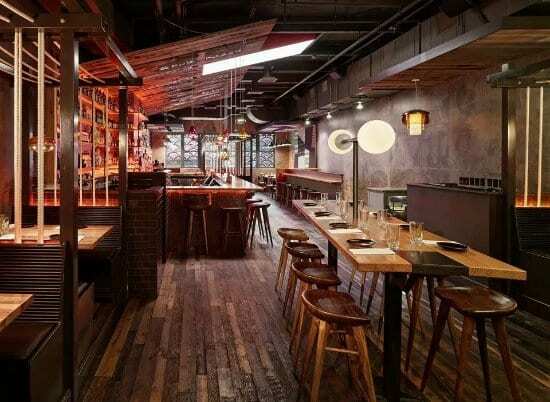 Japanese cuisine for the best ever brunch experience – that is exactly what Daikaya stands for. The place has two storeys – the downstairs houses ramen shop and upstairs is the home for a bar. You can opt for the comfort food like ox and onigiri, or chicken & waffles. And then, the French toast, which is soaked the night before in cream and soy milk. The dining options are indeed completely all-purpose. You will definitely like the cocktail options that are accompanied by Cold River gin, matcha powder, egg, and lemon. The roasted vegetables and broth-soaked meats are an excellent option for all your brunch needs. One of the best options for the brunch for a date, the Iron Gate is one of the best options for all your needs. The cosy dining room is the perfect place you can get friendly with your loved one. Whether in winter or summer, the place has the best arrangements for your perfect date. The menu is slightly Mediterranian in nature. Whats more, you also have access to the private dining option if you are looking for a more intimate dining. You have several other options as well including carriageway barroom, patio or garden – choose the one that you are comfortable with and feast on the menu with your loved ones. The olive-oil-fried eggs with crispy potatoes and the corned turkey hash pairs sweet potatoes with béarnaise are a couple of the best options for your brunch needs. Yet another option available in the neighbourhood, the Blue Duck Tavern should be one of the best restaurants for serving the American cuisine brunch and an authentic one at that. And yes, yet another addition to the restaurants that source their ingredients from local options. The restaurant has received the renowned Michelin Star accreditation. The ambience looks like a chic tavern atmosphere. The menu here is completely seasonal and amply creative at that. One of the best delicacies you can opt for include the silky short-rib hash along with chicken biscuit, or the raclette burger. 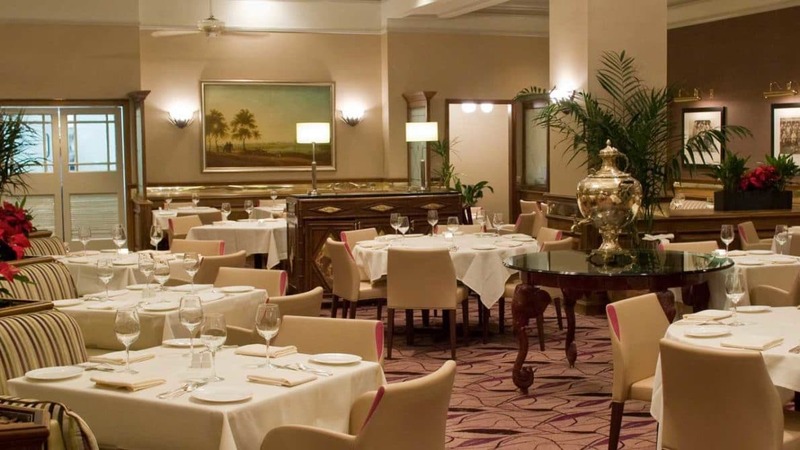 It has been adjudged as one of the top restaurants in Washington by the Washington Post. Well, that was a select list of the best brunch spots you would be able to find in DC. No matter whether you are looking for the cure for your hangover, or a simple lot of mimosas, the list here should be ideal for your needs in every kind of brunch. Whether for that romantic date or any other occasion, the restaurants we have featured should be practically enchanting options and quite unique in their own right. Visit them at least once and share your thoughts with us. That will help our readers make practical decisions on which brunch spots would be ideal for their preferences.